Spring Hill vascular specialist Dr. Jeff Mathew is a board certified vascular surgeon with expertise in aortic reconstruction, venous disease treatment, hemodialysis access (av fistula surgery), carotid artery surgery, peripheral artery disease treatment, varicose vein treatment as well as all other vascular and endovascular surgery. Spring Hill vascular surgeon Jeff Mathew treats vein and vascular disorders using the most advanced, non-invasive endovascular surgery methods available anywhere, provided on an outpatient basis so his patients can quickly enjoy great vascular health with minimal to no scars in the treatment areas. He has vast experience in the vascular surgery field and has intense training in vascular and endovascular surgery. Spring Hill Vascular Surgeon, Dr. Jeff Mathew earned his medical degree from Creighton University School of Medicine. Dr. Mathew is Board Certified in general surgery as well as in vascular surgery. 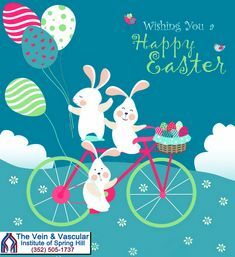 To schedule a vascular consultation with Spring Hill Vascular Specialist Dr. Jeff Mathew at The Vein and Vascular Institute of Spring Hill, give us a call at (352) 505-1737 or fill out the appointment request form below.